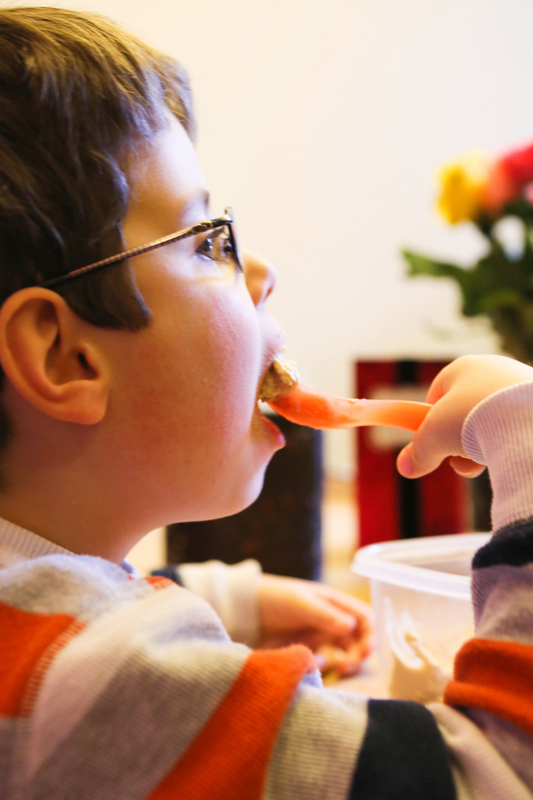 Classic Hummus — Pip and Ebby - easy, delicious recipes! 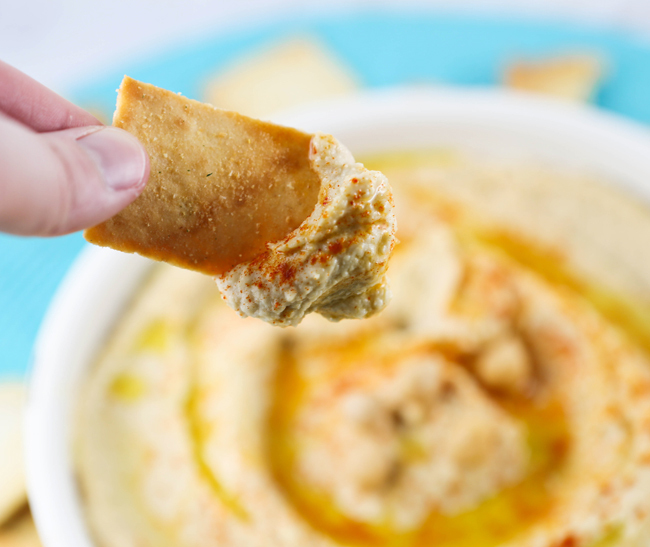 This hummus recipe is EASY to make. 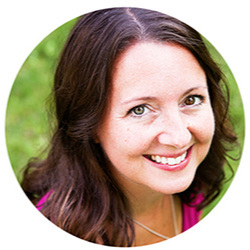 Way easier than you might think and it is way healthier than the store-bought version! I refuse to talk about the weather. I'm not talking about the weather. Minnesotans talk about the weather waaaaay too much. Nothing in this post will be about the weather...that really cold weather that creates an ice skating rink on my driveway and that makes me want to scream every time I open my front door. Speaking of screaming, umm...this morning I may have screamed louder than a person who was being brutally murdered. I ran into the garage to grab a toy for my sweet Sammy and as I picked it up, I spotted a dark grey, hairy, FAT mouse running past me. Cue murderous scream, which confused the poor, disgusting creature, causing him to almost run straight under my feet. Which made me scream even louder, of course, which confused him even more. This went on for 20 seconds until I made it safely inside and SLAMMED the door behind me. I heard Sammy say from the living room, "....Mommy?.....Are you....okay?..." Then from upstairs, I heard Dan say, "Sam? Was that Mommy? Is she ALIVE?" It was traumatic...NOTHING like this hummus...but a lot like the weather. After settling my hummus lover down with his food love, along with some pita wedges, I walked back into this scene.. He was eating it STRAIGHT from the bowl. It is that good. 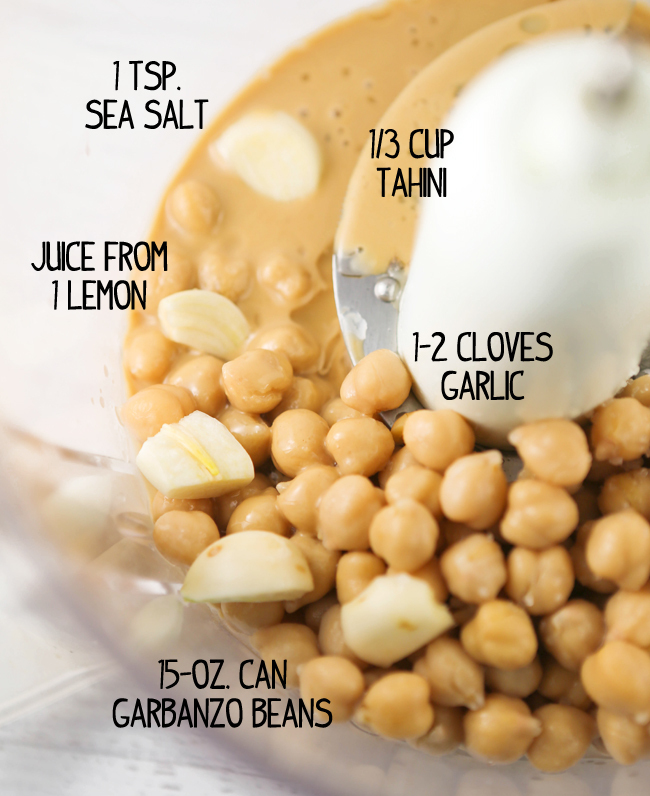 In a food processor or blender, add the garbanzo beans, garlic, tahini, lemon juice and sea salt. Process/blend until smooth. Stream in the olive oil and reserved liquid from the garbanzo beans can during the last little bit. Pour into a serving dish and refrigerate until ready to serve. Sprinkle with paprika and serve with pita chips and vegetables. Sometimes I tear spinach tortillas into pieces and Elijah goes to town dipping them into his beloved snack. I hope you are having a wonderful week! No mice...no unintentional ice skating rinks..just tons of deliciousness and warmth. 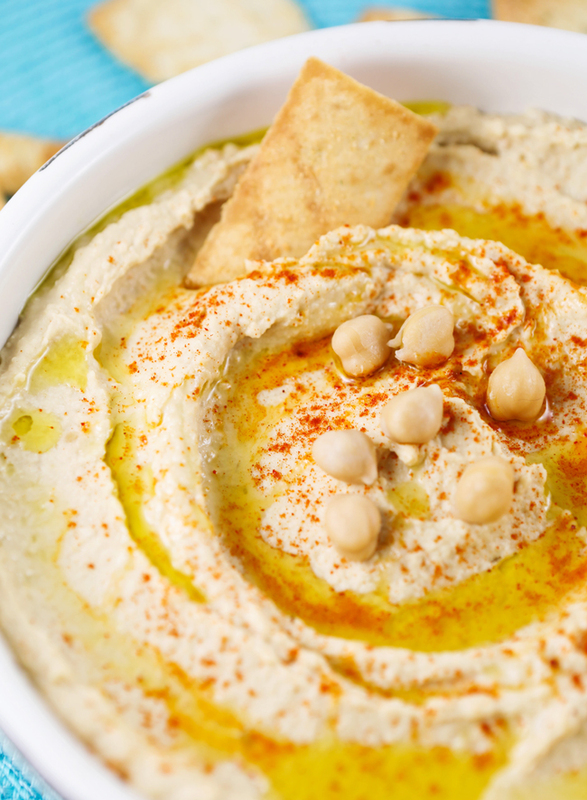 This hummus is EASY. I'm talking ridiculously easy. And way better (and healthier) than the store-bought version. Place the garbanzo beans, lemon juice, garlic, tahini and salt into a food processor or blender. Process/puree until creamy. Stream in olive oil and 2 tablespoons of the reserved garbanzo beans liquid. Pour into a serving dish and refrigerate until ready to serve. Sprinkle paprika over the top and serve with pita chips or vegetables.